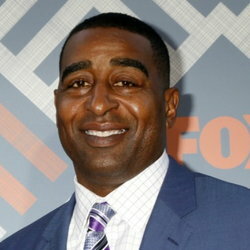 Former Vikings Wide Receiver Cris Carter is what you would call a big deal—15 years in the NFL, a spot in the Pro Football Hall of Fame, and now a co-host for First Things First on Fox Sports 1. He’s obviously earned his place among sports heroes, but his success didn’t come without its trials. In his youth, the 52-year old hall-of-famer almost lost it all as he found himself spiraling down the dark path of addiction. However, his dedication and no-nonsense attitude to win—both in the field and against the disease—has made him, in our eyes, a hero of another kind. For today’s Recovery Hero of the week, we spoke with Carter to hear about his recovery journey. Below is a transcript of our conversation. Could you tell our Sober Recovery audience a little bit about yourself. My story is I come from a family of seven. My mom raised seven kids by herself in Ohio. No father around. I went to Ohio State—you know, the dream of my life. I eventually ended up in the National Football League, got drafted by Philadelphia Eagles, and there I was diagnosed as alcoholic and strung out on crack cocaine, which led me to Minnesota [Vikings]. Their employee assistance program was state of the art, which got me on the road to recovery about a thousand weeks ago. Twenty seven and a half years ago. So that’s kind of the Readers Digest version of where I was, what happened and where I am now. Could you walk me through the time you realized you had a problem. What was the turning point that motivated your recovery journey? Well, I lost my job. I lost my job in Philadelphia. [The Eagles] released me, and then subsequently the Minnesota Vikings claimed me and they demanded that I get some type of help, so that’s how I got started. It was Labor Day 1990. And then three weeks later I was able to finally be clean of any substance and alcohol, and give up alcohol on the 21st [of the month]. So I mean, after that day, you know I haven’t had a drink. I got involved in the program, got involved in the sobriety community, worked the Steps, and keep very good people around me who can speak into my life and help me and understand like, who I am. I’m going to be in recovery until I die, and I’ll never be cured. So that’s the way my recovery was, how it was handled. Do you find it to still be a struggle today? I think that, you know, mentally, I never dropped my guard. I think that there’s no one that has this in their back pocket, and I think the ones that have been successful are the ones that respect the disease on a daily basis. What or who do you feel made the most significant impact on the direction of your life and career after leaving the Eagles? Well, losing my job from the Eagles was traumatic. And then I was introduced to sobriety through Betty Triliegi, and she ended up being one of my best friends and my drug counselor and still is today. You mentioned working the Steps. 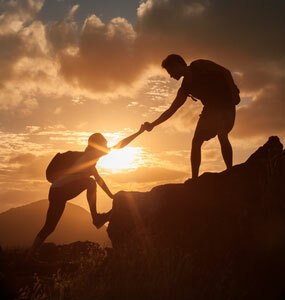 What type of support did you receive to get you off the path of substance abuse? I got great support because I was getting treated through my job, so it was very supportive. You know when the job—when you’re able to go and you have someone that’s employed by the team that you could talk to and be honest with and understands addiction, it really helps. So I feel like I had great support. The people in sports who knew about my addiction, that’s how—that gave me great support. So I feel like I had a lot of people that I could lean on. So you were in the NFL from 1987 to 2002. How was the culture around drugs and alcohol, and professional football back then and how is it any different to today? I think that, you know—sports, they just mirror society. It’s not as if you’re gonna be on a sports team and like, something’s going to be thrown unto you. I don't think they’re getting any more exposed to it than people of their age. You know, if you look at the demographics of the kind of people that are in sports, and you look at the same demographics in the same age bracket, you would see that the numbers are similar. So it’s, you know—it’s widespread. Drugs don’t discriminate. Just like if you’re rich or poor, they don’t. In your opinion, what keeps people with substance abuse issues from asking for help? Well of course it’s hard to ask for help. It’s a disease. No one wants to admit that they’re an alcoholic or a drug addict. I mean, that to me is not something that I brag about. But I’ve been able to get help and get success and was given the tools so that I can be successful. So that I can have victory on a daily basis over the disease that I’m going to die with ... [My advice is to] go at it on a daily basis, work the steps, get yourself a great support group around you. That is the way. Day by day. Slow is the way people have done it for years. Apart from football, what’s been keeping you busy lately? Most of the things I’m involved with is with Ambrosia Treatment Center. Around the country they have a facility in New Jersey, Florida, California. [I’ve been] speaking in a lot of groups, speaking in corporate America—trying to get corporate America into some type of maintenance plan on the employees. Realizing that the numbers are right, that the demographics are the same at your job. So there are people that you’re working with that need help. So just trying to have corporate America, fortune 500 companies, be more aware of the help that’s out there. Those are the things that I’ve really been involved with in the last two years. What’s it like to be in a position to inspire and help others now? It’s very, very rewarding because so many people helped me. And to be able to help people have power—to have people be able to sustain a life, people that can raise a family, people that can be dependable? All those things are awesome. And to be a part of the sober community, the AA community? To me, it’s empowering. And it’s what I’m supposed to do.